tutta la sporca politica dei satanisti americani CIA Bildenberg NATO. Il Ministero degli Esteri russo definisce una provocazione le accuse di Kiev contro il CEO di "Rossiya Segodnya". Il vice ministro degli Esteri Grigory Karasin ha definito come assurde e provocatorie le accuse di Kiev contro il capo del servizio di frontiera dell' FSB della Federazione Russa Vladimir Kulishov e del direttore generale della MIA "Russiya Segondya" Dmitry Kiselev. In precedenza il capo del servizio di sicurezza dell'Ucraina Valentin Nalivajchenko ha dichiarato che il servizio di sicurezza dell'Ucraina ha aperto un procedimento penale contro Kulishov e Kiselev sotto l'articolo "Finanziamento del terrorismo" e "Assistenza per attività terroristiche". Gli USA hanno aumentato gli aiuti nel settore della sicurezza a Kiev. Nel 2014 Washington ha aumentato fino a 23 milioni di dollari l'assistenza nel settore della sicurezza a Kiev ha dichiarato l'ambasciatore americano in Ucraina Geoffrey Pyatt. Commentando la questione sui futuri aiuti americani all'Ucraina l'ambasciatore ha detto che a suo parere "gli ucraini li hanno meritati". "Continueremo a collaborare con l'Ucraina al fine garantire le opportunità delle autorità ucraine delle guardie di frontiera e dell'esercito per controllare il confine con la Russia" ha aggiunto. WWF,l'Europa rischia terremoti a causa della tecnologia dell'estrazione da scisto. La tecnologia di estrazione del gas di scisto tramite idroesplosione degli strati sotterranei ad alta pressione può provocare terremoti nell'Europa densamente popolata ha dichiarato venerdì il capo del programma per la Politica Ambientale del complesso di combustibile e l'energia del World Wildlife Fund (WWF) della Russia Aleksej Knizhnikov. secondo le sue parole i progetti dell'estrazione di gas di scisto dal giacimento Yusovskaja in Ucraina orientale e in Polonia a poche decine di chilometri dal confine con la regione di Kaliningrad possono avere un impatto sismico transfrontaliero sulla Russia. Ucraina,i miliziani hanno 120 veicoli blindati. Gli autonomisti nella parte orientale dell'Ucraina hanno circa 120 veicoli blindati ha comunicato il consigliere del ministro dell'Interno ucraino Anton Gerashchenko riferendosi ai dati dell'intelligence. Alla fine di giugno il Primo ministro della Repubblica Popolare di Donetsk Aleksandr Boroday ha dichiarato che gli autonomisti di Donetsk hanno a disposizione carri armati e obici ucraini. Le milizie non solo catturano in battaglia i veicoli delle truppe ucraine ma utilizzano anche con successo i veicoli fuori uso. http://cdn.ruvr.ru/2014/07/05/1506753498/23_RIAN_02456868.HR.ru.jpg [ la nazi merkel troika ha detto che importa a me? mica brucia la mia casa! ]aereo della Protezione Civile russa fornisce cibo ai profughi ucraini. L'aereo del Ministero della Protezione Civile russo IL-76 con aiuti umanitari per le persone che sono state costrette a lasciare l'Ucraina ha decollato dall'aeroporto di Ramenskoye nei pressi di Mosca e venerdì sera è arrivato a Rostov-sul-Don (la regione di Rostov) ha comunicato il portavoce del Ministero Aleksandr Drobyshevsky. Il peso complessivo del carico è di circa 40 tonnellate di alimenti tra cui carne in scatola zucchero e tè. Gli aiuti umanitari saranno consegnati nei punti di soggiorno temporaneo dove si trovano i profughi provenienti dalle regioni del sud-est dell'Ucraina. A causa dei danni alle linee di rifornimento elettrico ad alta tensione i residenti dei quartieri orientali di Lugansk sono rimasti senza elettricità e acqua riferisce il sito del consiglio comunale. Attualmente gli specialisti stanno riparando i condotti. All change again in the Middle East [ satanic sharia will remove! ] Published,July 08 2013. But what will the future hold for the Christian minority? Middle Eastern Christians are experiencing one of the most significant periods in their history according to religious and political leaders meeting in London last week. Regime changes in Egypt and Iran and sectarian violence in Syria Lebanon and Iraq have presented an opportunity for the Christian minority to speak out or for international bodies to advocate on their behalf. Rev. Andrew White the pastor of an Anglican church in Baghdad spoke of the "terrible suffering" of Iraq's Christian community. He said that in the last 10 years since Saddam Hussein was toppled 1026 members of his congregation had been killed – 58 within one day. White said that in the last decade Iraq's Christian population had shrunk from 1.5 million to around 200000. As Egypt adapts to its second regime change in two years Bishop Angaelos leader of the Coptic Church in the UK said Egyptians are beginning to embrace their identity as Egyptians rather than only as part of a group of distinct communities. "It was unheard of before two years ago that Egyptian flags would be flying on the streets because people felt that they were not really part of a single nation state so they reverted to their own religion whether Christian or Muslim" he said. The Bishop said that one Muslim Brotherhood leader said he felt closer to an Indonesian Muslim than a Coptic Christian because of the concept of the nation of Islam the Ummah. In this way he said former President Mohamed Morsi's religious-led government had highlighted the distinctions between the different faith communities rather than brought people together. "We looked at what happened two years ago as the turning point but... there was a mentality of divide and conquer which means that you keep communities apart; you make them think that they can't trust each other. Published,February 13 2014. Two reports presented at European Parliament. The statue of the Virgin Mary and her child in the Coptic Church of Mallawi in Egypt was damaged during attacks on churches that swept across Egypt last summer. David Degner Getty Images. Freedom of religion and belief is an issue "whose time has come" the vice chairwoman of the U.S. Commission on International Religious Freedom said yesterday. During the presentation of two reports on religious freedom at the European Parliament in Brussels on Feb. 12 commission Vice Chairwoman Katrina Lantos Swett said that the prominence of the issue was highlighted by President Barack Obama's decision to choose it as the focus of his speech at the recent annual Prayer Breakfast in Washington. The UN's Special Rapporteur on Freedom of Religion or Belief Heiner Bielefeldt agreed that there is an "increasing interest" in the subject although he said it is often connected with a "certain degree of suspicion" and is "perhaps the only right to freedom which sometimes triggers mixed emotions". Speaking to World Watch Monitor following the presentation of the two reports Bielefeldt said that life for Christians has "deteriorated in a number of countries" in recent years and highlighted some prominent examples. "We have unfortunately seen a deterioration of the situation for Christians in a number of countries particularly in the Middle East" he said. 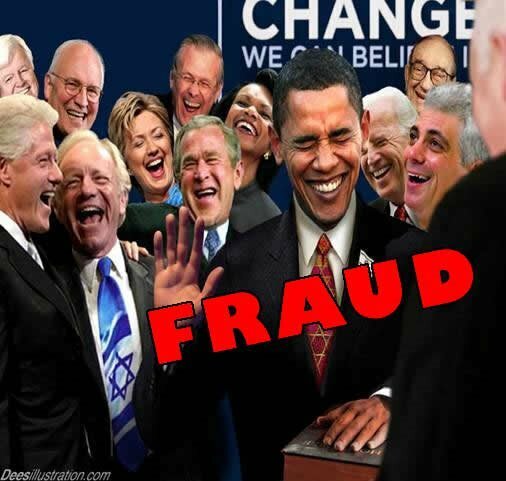 "Obvious examples include Egypt Syria and Iraq." Bielefeldt said all minorities not only Christians are at risk as the Syrian civil war continues. "The extremely volatile situation in Syria includes increased risks for minorities in general" he said. "Everyone is affected by the instability it's not something that exclusively targets Christians but usually minorities are at disproportionate risk of ending up between the big fighting camps." In Egypt Bielefeldt said that discrimination against Christians that existed before the Arab Spring has worsened. "During the Arab Spring we saw very promising signs of a new cooperation between various groups but now authoritarian regimes have taken over and the situation has worsened there certainly" he said. However Bielefeldt said it would be wrong to perceive that all Muslims and Christians within the country are opposed to each other. "Sometimes you get the impression from some headlines that it's perceived like that but it's not that Muslims in general persecute Christians in general" he said. "Muslims are also fighting with Muslims fighting about the role of religion in public life and Sharia." Published,January 23 2014. Memorial services celebrate life of Haik Hovsepian. World Watch Monitor. Memorial services are being held in Tehran London and California to mark the 20th anniversary of the death of Haik Hovsepian an Iranian pastor hailed by many Christians as a martyr. Hovsepian vanished on January 19 1994 three days after his protests helped to secure the release of fellow Iranian pastor Mehdi Dibaj who had been imprisoned for 10 years and sentenced to death for apostasy. Hovsepian 49 was found with multiple stab wounds to the chest and later buried in an Islamic cemetery after police claimed they had been unable to identify his body. His family were eventually notified of his death on January 30 and arranged a Christian reburial. 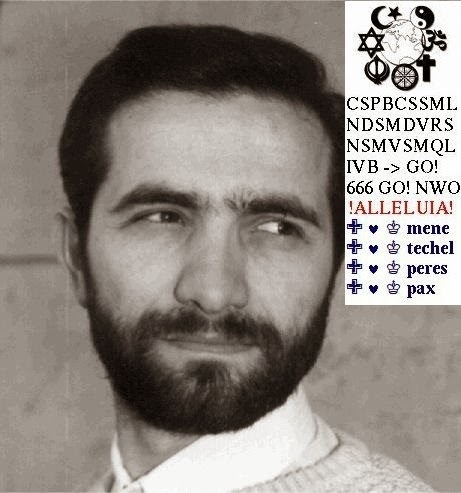 His death hit global news headlines around the world due to his prominent role in Iran's Church. The pastor had not only been outspoken in his defence for Dibaj but also against a perceived lack of religious freedom in Iran in general. In November 1992 he invited the UN's Human Rights Special Representative for Iran Reynaldo Galindo Pohl to mediate "true religious freedom" in Iran based "not on ethnic or religious identity but on personal conviction". The pastor also refused to sign a document stating that Christians in Iran enjoyed full religious freedom. An ethnic Armenian Hovespian's first role as pastor came at the age of 17 when he assumed the leadership of a church in Tehran's Majidieh suburb. Following his marriage to Takoosh Ginagosia in 1966 he then pastored Gorgan Church in north Iran. In 1969 the couple were involved in a severe car accident which claimed the life of their six-month-old son. The couple were also badly injured and doctors feared they might never walk again but they made a remarkable recovery and several months later returned to Gorgan Church where they served for a further 12 years. They moved to Tehran in 1981 when Hovsepian became superintendent of the Assemblies of God (AOG) Church in Iran. In 1986 he was appointed the Council of Protestant Churches' first chairman. Hovsepian was survived by his wife and their four children Rebecca Joseph Gilbert and Andre all of whom now live in California. His family are holding a public memorial service on Saturday (January 25) evening at Glendale Presbyterian Church in Glendale California. A memorial service was held in Tehran on Sunday (January 19) and flowers were placed upon Hovsepian's grave. Meanwhile the Iranian Church in London plans to hold a celebration in the summer to mark the deaths of Haik Hovsepian and two other pastors killed that year in Iran. Has the situation changed for Christians in Iran in the past 20 years? Hovsepian was one of a number of Christian pastors who disappeared and was later found dead in the early '90s. Others included Mehdi Dibaj the pastor whose freedom Hovsepian had fought to attain (who six months after his release was abducted and killed) Tateos Mikaelian and Bagher Yusefi. Hovespian's eldest son Joseph 40 told World Watch Monitor that the number of Christians in Iran has "grown significantly" since his father's death but that "persecution continues and in some respects has even increased". Mehdi Dibaj whose freedom Haik Hovsepian had fought to attain was killed six months after Hovsepian. Open Doors International. An Iranian Christian whose name is being withheld to protect his security added that Iran today is a different prospect for Christians than at the time of Hovsepian's death. He said that Iranian Christians continue to fear persecution but that the persecution takes a different form. "There has been a change in the approach of the government" he said. 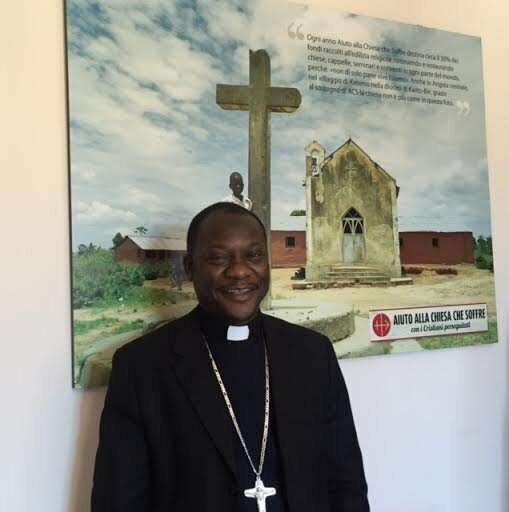 "Twenty years ago the approach was much more brutal,people were killed for becoming Christians and this would happen inside and outside the country. "Now the approach is to put people under pressure by giving them long prison sentences or heavy fines and spreading fear. They don't kill them anymore or at least not often but what they do is plant fear into people's lives." Last year World Watch Monitor reported that according to the International Campaign for Human Rights in Iran (ICHRI) Christians in Iran faced "systematic persecution and prosecution". The ICHRI report The Cost of Faith,Persecution of Christian Protestants and Converts in Iran claimed that "despite the Iranian government's assertions that it respects the rights of its recognised religious minorities the Christian community in Iran faces systematic state persecution and discrimination". This view is supported by Mansour Borji advocacy officer for human rights initiative Article18 who told World Watch Monitor,"Sometimes the phrase 'systematic persecution' is used so loosely that it sounds like a cliché. However in the case of Iran's persecution of Christians it fits the criteria." Borji added,"Arbitrary arrests and imprisonment; severe restrictions on worship services in Farsi language; a ban on the publication of Bibles and Christian literature in Farsi; threats and harassment of evangelical church leaders; and continued attempts to confiscate church properties – these are all pieces in the puzzle. In a nutshell there is a systematic attempt to deprive churches of membership literature leadership training and development communion with other Christians around the world and the right to freedom of religion guaranteed by the international covenants of which Iran is a signatory." Meanwhile the UN's Special Rapporteur on Human Rights in Iran Dr. Ahmed Shaheed noted in September 2012 that more than 300 Christians had been arrested and detained since 2010 while at least 41 were detained for periods ranging from one month to over a year sometimes without official charges. Some predicted an upturn in fortunes for Iran's Christians after the installation of Hassan Rouhani as president in August but despite the release of a few Christian s from jail many more are still detained. The Hovsepian family. The Hovsepian family pictured shortly after they left Iran in 1999. Open Doors International. In 2007 Haik Hovsepian's wife and children founded Hovsepian Ministries a non-profit organisation which supports Iranian Christians around the world through advocacy church visits and speaking engagements. His widow Takoosh who led the family out of Iran five years after her husband's death is in the throes of writing her first book and also spends a lot of time counselling other widows. "My mother is a living testimony and one of those whose life speaks for itself" said Joseph Hovsepian. "After Haik's martyrdom she was in the spotlight for millions of Christian and non-Christian Iranians who learnt about Haik's brutal death. She has not neglected to tell her story to the world. Pubblicato 14 giugno 2012 - 18.47 - Da Claudio Messora. La svendita programmata delle sovranità nazionali è iniziata molto tempo fa. Già nei primi anni '90 gli economisti sapevano che la creazione di una moneta comune slegata da una politica fiscale complementare e senza una banca centrale che potesse sopperire all'impossibilità di giocare con i tassi di cambio innescando una svalutazione competitiva avrebbe condotto a una crisi la cui unica soluzione contemplava la cessione totale delle prerogative dei popoli ovvero la loro autonomia e indipendenza rispetto alle politiche macroeconomiche. Un progetto che avrebbe consentito alla Germania di avvantaggiarsi sul piano delle esportazioni verso i paesi meno forti ai quali non sarebbe rimasta che la diminuzione dei salari per riequilibrare il deficit. Ma anche e soprattutto un progetto che attraverso la crisi doveva risolversi con l'imposizione di una unione europea totale sul piano politico costringendo i cittadini privati di ogni altra possibilità residua a rinunciare all'atto costitutivo più importante che uno Stato conosca,le loro costituzioni nazionali. Quando uno Stato rinuncia alla propria sovranità sulle politiche monetarie diventa automaticamente una regione nella migliore delle ipotesi o peggio,una colonia con la sola autonomia decisionale residua rispetto al potere centrale di stabilire con quale frequenza tagliare le aiuole. Era questo ciò che volevamo entrando nell'euro? Certamente no. Ma era questo che voleva chi ci ha portato dentro e chi dopo avere impresso la grande accelerazione che viviamo sulla nostra pelle di questi tempi sta facendo di tutto per precipitare una crisi che non è economica ma sommamente politica (in quanto è una precisa volontà politica rinunciare a tutti quei correttivi monetari che privilegerebbero immediatamente il benessere dei popoli rispetto a quello degli istituti di credito). Qualcuno che ancora ieri in Parlamento sosteneva incredibilmente che sarebbe tradizione italiana auspicare parziali cessioni di sovranità nazionali e che del resto sapeva bene che certe crisi servono precisamente a quello. Ho incontrato per voi l'economista del Levy Economics Institute e dell'Università di Cassino Gennaro Zezza al Workshop per la democrazia diretta organizzato dal Partito Umanista. La sua storia racconta di come il progetto neomercantile ha prodotto una crisi che a qualcuno conviene non risolvere. LA SVENDITA PROGRAMMATA DELLE SOVRANITA' NAZIONALI. Come il neoliberismo ha prodotto una crisi prevista decenni fa. IL MODELLO NEOLIBERISTA. Ora a mio avviso alle origini della crisi che viviamo oggi c'è una crisi di un modello specifico di capitalismo che per semplicità possiamo chiamare "neoliberismo" che si è presentato non come – ovviamente – una dottrina perché arricchisce alcuni a danno degli altri ma come un insieme di teorie economiche che suggerivano una strada per un benessere diffuso. E in particolare a partire dagli anni '80 prima con la Thatcher e poi con Reagan è iniziato a passare un messaggio che andava nella direzione opposta del messaggio precedente diciamo che ha visto nei decenni precedenti crescere quello che chiamavano il welfare state cioè i sistemi pensionistici e sanitari pubblici diffusi e che ha visto crescere il benessere perlomeno nella parte occidentale del mondo. C'è stata una reazione a tutto questo che ha avuto un consenso elettorale basata sull'idea che si riducono le tasse che sono troppo alte poi si libereranno più risorse per gli investimenti,gl imprenditori potranno creare nuove imprese creare occupazione e tutti ne avranno dei benefici. Parallelamente dopo la crisi degli anni '30 erano state imposte una serie di regole molto stringenti sul sistema bancario che evitavano le speculazioni e si sono convinti i politici come l'elettorato del fatto che eliminando tutti questi vincoli le banche avrebbero funzionato meglio avrebbero distribuito meglio le risorse dei piccoli risparmiatori alle imprese più promettenti e avremmo avuto più benessere. E infine che nel settore pubblico di fatto gestito a fini elettorali a fini privati c'è la corruzione e quindi c'è uno spreco di risorse quando è il settore pubblico a gestire l'economia mentre se privatizziamo la logica del profitto motiva di più l'organizzazione e anche qui avremmo avuto un forte aumento di benessere. E questo è quello che poi è accaduto cioè queste sono state le politiche messe in piedi dai governi prima inglese e poi americano e poi in modo più o meno diverso anche nei paesi europei.Le conseguenze oggi le conosciamo ed erano ipotizzabili anche da prima. E in particolare la redistribuzione del reddito sì ha fatto crescere gli investimenti – abbiamo avuto quella cosiddetta new economy che ha fatto esplodere le aziende legate a internet e così via – ma questa crescita degli investimenti è stata effimera. Sicuramente non ha creato un aumento dell'occupazione e del benessere generalizzato ma ha concentrato l'aumento del benessere in un piccolo gruppo sociale. L'eliminazione dei controlli sulle banche invece di portare a una migliore distribuzione del rischio ha consentito alle banche di adottare dei nuovi modelli di comportamento in cui riuscivano a scaricarsi del rischio di un prestito su soggetti terzi con comportamenti che erano al limite della frode quando non erano delle vere e proprie frodi. E quindi ha portato a instabilità finanziaria. E infine la privatizzazione della gestione dei beni pubblici è un qualcosa di discutibile,su questo non so se ci sono degli studi definitivi che mostrano che il successo che si auspicavano i neoliberisti ci sia stato oppure no ma mi sembra di vedere che i paesi che per primi hanno adottato queste politiche per primi hanno iniziato a vedere che gli effetti non erano quelli desiderati. Il web ha un mese e mezzo di vita. Pubblicato 16 ottobre 2013 - 13.45 - Da Claudio Messora. L'Autorità per le Garanzie nelle Comunicazioni l'AGCOM sta per concedere agli editori soprattutto alle televisioni la possibilità di far cancellare in sole 72 ore i contenuti presenti sul web anche interi siti senza nessun vaglio della magistratura con una semplice segnalazione. Con la scusa del diritto d'autore il rischio è ancora una volta il controllo e la censura dell'informazione libera. Una norma simile non esiste in nessun altro Paese del mondo perlomeno tra quelli che consideriamo democratici. Se il Parlamento non interviene la delibera sarà operativa entro un mese e mezzo. Ho intervistato Fulvio Sarzana avvocato esperto di tematiche legate alla rete. Qui sotto il video e la trascrizione. Fulvio Sarzana avvocato esperto di questioni inerenti al web animatore della campagna sitononraggiungibile.info. Cosa sta succedendo? Sta succedendo qualcosa di molto grave a mio giudizio perché l'Autorità per le Garanzie nelle Comunicazioni (l'Agcom un'autorità indipendente i cui membri sono nominati dal Parlamento e che oggi è tuttavia senza un membro che si è dimesso) ha deciso di far sì che i contenuti presenti sul web senza nessun vaglio della magistratura possano essere cancellati entro 72 ore dalla loro segnalazione. Tutto questo mi ricorda una delibera analoga di qualche tempo fa proprio dell'Agcom. Già ma il Presidente dell'epoca Calabrò decise che non si poteva rilasciare perché non c'era l'autorizzazione del Parlamento. Le disposizioni contenute erano lesive della libertà di espressione. Calabrò decise di soprassedere poiché ritenne di non avere il potere di farlo. Invece questo nuovo Presidente… decide di farlo comunque senza ascoltare tutte le istanze che provengono dalla società civile in ordine alla libertà di espressione. Tante organizzazioni internazionali ma anche ad esempio Noam Chomsky o Stefano Rodotà hanno definito la delibera un attacco fondamentale ai diritti dei cittadini e alla libera espressione. Il nuovo Presidente ha deciso di ignorare tutti. Anzi ha accelerato proponendo la nuova delibera che è addirittura molto più restrittiva a giudizio di tante associazioni del mondo delle imprese e del mondo del consumo. Chi si è attivato per contrastarla? Ci sono Articolo 21 AltroConsumo AssoProvider… Sì sono in tanti a dire,"Perché dobbiamo cancellare il web? Perché dobbiamo censurare?". Tenete presente che è proprio attraverso i provider italiani cioè coloro che forniscono l'accesso a internet che in 72 ore sarà possibile cancellare un singolo contenuto oppure se l'infrastruttura è all'estero tutto il sito. Spieghiamo come funziona questa delibera. La delibera ha due aspetti fondamentali. Il primo riguarda il web in generale,chiunque ritenga che ci sia anche solo qualche secondo di materiale che gli appartiene un video o una fotografia per esempio pubblicata in rete senza la sua autorizzazione si rivolge all'Agcom. L'Agcom cerca in prima battuta di trovare colui che avrebbe violato il diritto d'autore. Se non lo trova cosa più che frequente (spesso i siti sono ospitati su server che si trovano all'estero oppure più semplicemente l'autore del caricamento è in viaggio o ha subito un lutto o è malato o magari ha una momentanea interruzione della connessione a internet e così via) l'Agcom ordina ai provider di cancellare il contenuto segnalato o addirittura l'intero sito. Il secondo aspetto è a beneficio delle televisioni. Le televisioni commerciali – e non – hanno il potere di far cancellare i contenuti presenti sul web in tempi molto rapidi se ritengono che vi siano anche pochi secondi tratti dai loro palinsesti televisivi. L'Agcom sta creando uno strumento potentissimo che consentirà alle televisioni di mettere le mani sul web. Il web viene così trasformato in una grande televisione. Non è una novità,volevano già farlo con il Decreto Romani. Esatto. L'Agcom ha deciso di basarsi proprio sul Decreto Romani. La nuova delibera si fonda sul Decreto Romani proprio per dare all'Agcom il potere di intervenire nel settore web come se si trattasse di una televisione. Si potrebbe obiettare che la protezione del diritto di autore è cosa buona è giusta. Il diritto d'autore è una cosa importante però va contemperato con il diritto all'informazione. In 72 ore non ci sarà il tempo di valutare se la libertà di informazione prevale,tante fonti informative sul web che vivono per esempio grazie ai banner pubblicitari saranno le prime vittime di questa delibera. Se tu hai un banner che ti rende 5 euro al mese quello è già considerato uno sfruttamento di carattere commerciale che legittima la procedura abbreviata dell'Agcom,in 72 ore ti cancellano il sito. Ci sono precedenti internazionali poco rassicuranti… A Cuba il canale "Cuba Debate" (dibattito cubano) è stato cancellato dopo aver fatto un'intervista a un agente della Cia che aveva rivelato informazioni esclusive su una serie di attentati. L'agente non aveva in seguito dato l'autorizzazione a mostrare l'intervista e così è stato cancellato l'intero canale per violazione del diritto d'autore. Questo è quello che potrebbe accadere anche in Italia. Cioè da un singolo contenuto si passa direttamente alla cancellazione dell'intero contenitore. Se pensiamo ai blog alle testate informative online e alle web-tv è un grave pericolo per la libertà di informazione del cittadino in rete. E poi spesso l'informazione libera è fatta anche di frammenti tratti dal dibattito pubblico che vengono commentati. Oppure accade più spesso che immagini realizzate da blogger semplici cittadini caricate magari su YouTube vengano riprese dalle televisioni. A quel punto le televisioni lo marcano come proprietario lo rivendicano e il tuo video (o l'intero canale) vengono cancellati. C'è uno strapotere delle lobby dell'editoria. L'esempio che hai fatto è un classico. Se una persona riprende un'immagine fa uno scoop e la televisione lo marca il rischio è che quella stessa televisione chieda all'Agcom di cancellare i contenuti originali realizzati con tanta passione e sacrificio. Oppure può accadere che io vada in vacanza faccia delle foto alla mia fidanzata o alla mia famiglia ci metta sotto distrattamente qualche secondo di una qualunque musica coperta dal diritto d'autore e nel giro di 48/72 ore quel video venga cancellato dalla rete grazie alla delibera dell'Agcom. O ancora magari può accadere che un blog rielabori immagini prese dal web già a disposizione di tutti tramite i motori di ricerca per illustrare un post magari farne un mash-up e comunicare meglio un'idea. Se queste immagini sono tutelate dal diritto d'autore… Cioè qui stiamo impedendo alla cultura di diffondersi. Questo è il problema! Qui non è un problema di pirateria perché la pirateria commerciale è una cosa grave. La pirateria è lo sfruttamento a fini di lucro in maniera massiva di un'opera di ingegno. Esattamente,questo deve essere penalizzato e l'ordinamento lo deve prevedere. Quello che però si fa con questa delibera è andare a colpire non la pirateria massiva ma il singolo individuo il singolo cittadino che mette un contenuto anche solo di pochi secondi. Siamo in presenza della violazione della circolazione dell'informazione. Ci sono trasmissioni Rai che la Rai non mette sul web di cui non fa il podcast. Fino a qualche tempo fa ad esempio era così per la trasmissione Report. Perché un cittadino italiano che vive in Australia non deve potersi vedere su YouTube Report senza che la Rai (che finanziamo noi ndr) richieda la cancellazione del video su YouTube perché viola i suoi diritti? Questo impedisce la circolazione delle informazioni perché un cittadino se non riesce a vedere un programma a casa sua magari perché fa un lavoro che lo porta a stare fuori spesso non può fruire di un certo contenuto. Questo meccanismo fa sì che il web un mondo libero ricco proprio di informazioni diventi una grande televisione. Ma chi c'è dietro? Io non so chi c'è dietro ma questa delibera va a beneficio di tanti soggetti soprattutto dei soggetti del settore televisivo. Su questo non c'è alcun dubbio. Beh visto che la delibera si basa sul Decreto Romani è utile ricordare che Romani era un grande imprenditore televisivo e fa politica insieme al più grande imprenditore televisivo italiano. Si tratta di uno strumento di censura molto potente. Di controllo e di censura. Assolutamente sì specialmente data la brevità del termine,quelle 72 ore. Il diritto d'autore per questi temi è oggetto di lunghe discussioni in tribunale proprio per il diritto alla libera informazione. Un tribunale ha gli strumenti per valutare ma come fa un'autorità amministrativa che non si è mai occupata di queste tematiche a valutare in 72 ore se quella richiesta viola la libertà di informazione oppure se prevale il diritto d'autore? Non lo può fare. Tra l'altro questa autorità amministrativa col web ha un rapporto che non mi sembra sereno. Il commissario Francesco Posteraro si è riferito al web come "una comoda copertura per calunnie diffamazioni pratiche odiose come la pedopornografia episodi di cyberbullismo che sfociano talora tragicamente in suicidi di adolescenti". Ha dipinto un quadro veramente a tinte fosche dove si elimina qualsiasi riferimento alle potenzialità positive della rete che sono quelle preponderanti. "Una sorta di generalizzata licenza di fare strame dei diritti altrui. L'anonimato serve a realizzare una predazione di opere dell'ingegno". Ma l'anonimato serve anche a dare copertura a chi deve fare una denuncia magari sul luogo di lavoro. E ancora,"L'Agcom vuole tutelare la loro produzione" riferendosi alle grandi società di editoria. Ma è normale che l'Agcom sia così sbilanciata a favore delle lobby della produzione dei contenuti? L'Agcom è un'autorità di garanzia. Una garanzia sussiste solo interpretando un ruolo di totale indipendenza. Le parole che tu hai citato del commissario sono tratte da un convegno. Credo che volesse fare degli esempi. Io non condivido le sue affermazioni per quanto riguarda la rete,secondo me la rete è uno strumento molto positivo. L'anonimato serve nelle dittature per consentire ai soggetti di poter esprimere liberamente i propri pensieri. Le primavere arabe non ci sarebbero state senza l'anonimato e non sarebbe stato possibile nessun rivolgimento sociale. Il whistleblowing che negli Stati Uniti è considerato un elemento importante è proprio quello che dicevi tu prima cioè la possibilità che coperto dall'anonimato qualcuno denunci le magagne della pubblica amministrazione oppure della politica. Ovviamente una delibera analoga a quella che vuole rilasciare l'Agcom non esiste in nessun'altra parte del mondo civilizzato. O sbaglio? In nessun altro paese un'autorità amministrativa senza un'autorizzazione del Parlamento e senza il controllo della magistratura cancella contenuti in termini così brevi. In nessun altro paese del mondo. E quindi che cosa possiamo fare per impedire a questa società di trasformarsi in una enorme televisione alle dipendenze dei soliti noti? Innanzitutto l'opinione pubblica dovrebbe prendere una posizione. Fino ad oggi i mainstream generalisti non se ne sono occupati per motivi vari. Quindi è fondamentale far circolare le informazioni perché un cittadino informato è un cittadino che sa scegliere. Abbiamo inoltre richiesto agli organi parlamentari di riprendere in mano i disegni di legge attualmente pendenti che regolamentano il diritto d'autore in maniera armonica cioè tenendo in considerazione anche i diritti dei cittadini introducendo il cosiddetto "Fair Use" l'uso non commerciale. E' una cosa che esiste negli Stati Uniti e non esiste in Italia. Esatto. E' l'ABC del dibattito pubblico,questi vogliono veramente mettere la museruola… Esatto! Il presidente dell'Agcom ha detto che trattandosi di diritti fondamentali "se interviene il Parlamento noi rispettiamo il Parlamento". Eh beh! Rispettiamolo il Parlamento! Quindi abbiamo chiesto al Parlamento di occuparsene. http://www.byoblu.com/post/2013/10/26/ci-ha-fatti-spiare-lultimo-regalo-monti.aspx Ci ha fatti spiare tutti,l'ultimo regalo di Monti. Pubblicato 26 ottobre 2013 - 14.22 - Da Claudio Messora. L'ultimo regalo da presidente del Consiglio dell'uomo della Trilaterale è stato un decreto senza legittimazione parlamentare (il governo era dimissionario) che conferisce ai servizi segreti la facoltà di avere accesso a tutte le banche dati per incrociare le informazioni sui cittadini nei settori nevralgici dell'energia dei trasporti della salute del credito bancario e delle telecomunicazioni. Hanno già firmato Telecom Finmeccanica Agenzia delle Entrate Enel Eni Alitalia Ferrovie dello Stato Poste italiane. Grazie a questo decreto senza autorizzazione della magistratura i servizi possono avere accesso ai metadati tracciati dai gestori delle comunicazioni degli internet service provider degli aeroporti delle dighe dei servizi energetici e dei trasporti per non meglio specificate finalità di sicurezza. Possono farlo legalmente. Europea Commissione! Monti confessa,"Stiamo distruggendo la domanda interna". Jerzy Buzek Barroso Herman Van Rompuy sistema bancario truffa massoni voi siete demoni! Banca di Italia ladri voi avete rubato il futuro! 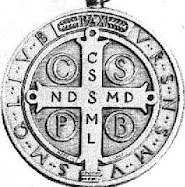 C. S. P. B. Crux Sancti Patris Benedecti. La Croce del Santo Padre Benedetto. 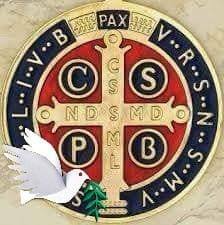 C. S. S. M. L. Crux Sacra Sit Mihi Lux. La Croce santa sia la mia Luce. N. D. S. M. D. Non draco sit mihi dux. Non sia il demonio il mio condottiero. BURN! V. R. S.Vadre Retro satana. Allontanati satana! N. S. M. V. Numquam Suade Mihi Vana. Non mi attirare alle vanità. S. M. Q. L. Sunt Mala Quae Libas. Sono cattive le tue bevande. I.V. B. Ipse Venena Bibas. Bevi tu stesso i tuoi veleni. DRINK YOUR POISON MADE BY YOURSELF! io sono rivestito di Cristo quindi tu non mi convincerai di peccato perché il mio debito è stato pagato! VATTENE SATANA NEL NOME DI GESù! /watch?v=LyAcSGuC5zc&list=UUyjNhbCPBuxM4jRxpjxr0ZQ Monti confessa,"Stiamo distruggendo la domanda interna". Pubblicato 2 novembre 2013 - 12.37 - Da Claudio Messora. Alla fine l'ha detto. Intervistato dalla CNN così Mario Monti,"Stiamo effettivamente distruggendo la domanda interna attraverso il consolidamento fiscale. Quindi ci deve essere una operazione di domanda attraverso l'Europa un'espansione della domanda". Cosa era venuto a fare l'abbiamo sempre saputo ma forse lui non l'aveva mai detto così chiaramente. Come si distrugge la domanda interna? Alzi le tasse e svaluti i salari. Così la gente non ha più soldi e compra di meno. Ma non basta,lo Stato potrebbe sempre alzare la spesa a deficit cioè investire sui cittadini mediante politiche sociali (esempio,reddito di cittadinanza) o creando lavoro. E allora cosa facciamo? Semplice,inventiamo il pareggio di bilancio e lo mettiamo addirittura nella Costituzione così da rendere impossibile qualunque ripensamento. Era l'equazione che ci avrebbe matematicamente reso più poveri (vedi "La formula che ci inchioda"). Ricordate? Se costringi la somma delle entrate e delle uscite di uno Stato ad annullarsi a vicenda allora se punti sulle esportazioni devi per forza massacrare i portafogli. E' quello che ha fatto Monti. Perchè? Che significa "una domanda attraverso l'Europa"? Significa innanzitutto diventare un centro di produzione a basso costo per i ricchi paesi del nord (Germania in testa) una specie di Cina europea così da non essere costretti a comprare dai trafficanti di diritti di Pechino per togliere il mercato all'oriente spregiudicato. Lo fai diminuendo i costi di produzione e siccome le materie prime le paghiamo sempre uguale bisogna pagare di meno gli stipendi e diminuire i diritti (vi dice niente la battaglia per la modifica dell'articolo 18?). Come li costringi i lavoratori ad accettare uno standard di vita meno dignitoso? Li getti nella crisi più nera svendi tutto il patrimonio di economia nazionale e permetti ai nuovi padroni di delocalizzare all'estero. Gli togli le case con Equitalia. Costringi le fabbriche a chiudere,meno offerta di lavoro uguale più domanda cioè milioni di persone senza reddito disposte a qualunque cosa pur di avere un tozzo di pane. Significa anche che se i tedeschi basano tutta la loro economia sull'export hanno bisogno di comprare a prezzi accettabili,con un euro forte tagliato su misura per le loro tasche venire a fare shopping in Italia è come andare all'outlet nel periodo dei saldi. E significa anche nel quadro di strategia geopolitica occidentale trovare alternative per limitare lo strapotere commerciale dei brics e magari togliere potere a quella Cina che detiene la maggior parte del debito americano. Prendi un Paese massacrato dal debito pubblico ricattabile ma anche industrializzato dunque con le possibilità e le competenze produttive per soddisfare la tua domanda e lo trasformi in una miniera a basso costo. Un piano iniziato negli anni '80 ai tempi di Kohl e Mitterrand (vedi,"Il funzionario oscuro che faceva paura a Kohl" e "Come ci hanno deindustrializzato"). Un disegno criminoso deciso sulla testa dei popoli senza consultarli. Una strategia complessiva che fonda tutte le sue possibilità di riuscita sull'esistenza di una élite di potere che domina incontrastata attraverso il controllo della meta-finanza (EFSF MES LTRO FISCAL COMPACT REDEMPTION FUND…) e attraverso la costruzione di un'unica enorme sovranazione dove il controllo democratico è inesistente (e dove i think-tank sostituiscono i parlamenti) alla quale le evoluzioni dei socialismi europei hanno venduto l'anima nell'illusione iniziale (condivisa con la Casa Bianca) di impedire l'ascesa di nuovi autoritarismi e di riuscire finalmente ad assicurarsi la vittoria politica che cercano da un secolo,creare una "Internazionale" finalmente vincente e definitiva. Un progetto che ha come termine ultimo la nascita degli Stati Uniti d'Europa nei quali l'Italia diventa la Calabria e Helsinky la Lombardia. Ma resta un "ma",quell'insostenibile anelito dei popoli alla libertà quella fissazione verso termini e concetti desueti come "democrazia" quell'irriducibilità a rivendicare la propria sovranità elettiva. Resta un'opinione pubblica da condizionare da convincere che non esistono altre strade oltre a quella che Monti in Italia e Papademos in Grecia sono stati mandati a progettare passando sopra ad ogni forma di conquista sociale espropriando terreni dove troppi diritti sono stati costruiti inquinando o prosciugando le falde acquifere dove i popoli soddisfano la loro sete di cultura. Resta da abbattere o contenere ogni resistenza. E allora bisogna investire fondi europei per "un'analisi quantitativa dei media" per monitorare le comunicazioni nei paesi euroscettici per identificare i temi più rilevanti e per assoldare una squadra di piccoli Goebbels in grado di reagire prontamente e fare una propaganda mirata (vedi The Telegraph,"EU to setup euro-election 'troll patrol' to tackle Eurosceptic surge"). Bisogna combattere i "populismi" cioè chiunque insista nel coltivare la convizione che le élite non abbiano un mandato divino a governare sul cielo e sulla terra (né le loro soluzioni siano le migliori a prescindere) ma la sovranità appartenga al popolo qualunque uso ne voglia fare. Una convinzione che si basa sul presupposto che esiste una casta di individui nobili colti intelligenti saggi che sanno cosa è bene e cosa è male e una sterminata distesa di individui primordiali poco istruiti ma essenziali e funzionali tanto che secondo uno studio accreditato devono restare in apnea (vedi,"Dovete restare in apnea") persone che devono essere educate e guidate come buoi fuori e dentro la stalla. E così Enrico Letta ieri su La Stampa inizia la sua offensiva,"Fermiamo i nemici dell'Europa". "Se i populisti in Europa superassero una percentuale del 25 per cento questo sarebbe molto preoccupante. Il rischio che il Cinque Stelle risulti il primo partito alle Europee è molto forte. Non possiamo limitarci ad essere timidi con Grillo o soltanto placcarlo". No non possono limitarsi a questo. Ci vuole qualcosa di più forte. Del resto "La possibilità che nel prossimo Europarlamento ci sia tra un quarto e un quinto di deputati euroscettici o populisti è ormai più che probabile" si legge sempre su La Stampa di oggi dove contro Grillo scende in campo un altro super-burocrate europeo come Martin Schulz lo stesso che poco tempo fa si lasciava sfuggire che le banche ci starebbero truffando (vedi "Dal presidente del Parlamento Europeo la conferma,le banche ci stanno truffando"). C'è l'estrema sinistra greca Syriza. Ci sono i Veri Finlandesi. Ci sono gli anti immigrati ungheresi Jobbik. C'è l'ultradestra austriaca di Strache (il successore di Haider morto in un controverso incidente stradale). C'è Nigel Farage nel Regno Unito (vedi,"Così iniziano le dittature") a sua volta sopravvissuto per miracolo a un altrettanto controverso incidente aereo. C'è Marine Le Pen con il Front National in Francia (che un recente sondaggio accredita come il primo partito d'oltralpe). E poi annoverato tra gli euroscettici c'è anche Beppe Grillo in Italia. Roba da 9 milioni di elettori e che i sondaggi attestano costantemente sopra il 20%. Ma è nelle parole di Enrico Letta che si annida la madre di tutte le contraddizioni. Letta quello del pizzino a Mario Monti in cui lo rassicurava che avrebbe fatto tutto quanto nelle sue disponibilità sia ufficialmente che ufficiosamente (vedi,"la famosa repubblica parlamentare"). E qui il cerchio si chiude. "Se i populisti in Europa superassero una percentuale del 25 per cento sarebbe molto preccupante". Sta dicendo che se l'Europa fosse davvero democratica accogliendo nelle istituzioni l'esito della volontà popolare che si esprimerà nelle urne questo rappresenterebbe un pericolo per l'Europa stessa. Sta dicendo cioè che l'Europa si salva solo se non è democratica ovvero se c'è qualcuno a guidarla al di fuori del legame di responsabilità politica che lega l'eletto all'elettore. Qualcuno di elitario di incontrollabile che risponde a logiche diverse da quelle che esprime il popolo. Qualcuno come lui come Mario Monti come Mario Draghi come Herman Van Rompuy qualcuno da mettere a capo della Bce del Fondo Monetario Internazionale dell'Eba qualcuno che diventi primo ministro di ogni singolo Stato membro indipendentemente dalle operazioni di voto qualcuno che faccia parte dei 17 supergovernatori che gesticono il Mes qualcuno che rediga i memorandum da firmare per acconsentire ad ulteriori cessioni di sovranità qualcuno che influenzi le elezioni nelle regioni periferiche dell'Europa come ha fatto Angela Merkel in Grecia prima e in Italia due volte (vedi,"Merkel interviene sul voto greco,scegliete chi rispetta gli accordi" e "La Germania telefonò a Napolitano e fu subito Golpe"). Di chi stava eseguendo gli ordini Mario Monti quando ha preso il potere per tagliare le pensioni e distruggere la domanda interna? Perché qualcuno glielo aveva chiesto come dimostra anche l'ultimo duro documento del dipartimento del Tesoro Usa scritto in conseguenza dello scontro sul caso NSA,"La crescita anemica della domanda interna tedesca e la dipendenza di questo Paese dalle esportazioni hanno ostacolato il ribilanciamento delle economie proprio quando a diversi altri Paesi dell'eurozona era stato chiesto di contribuire all'aggiustamento frenando la loro domanda interna e comprimendo le importazioni. Il risultato di tutto ciò è stato una tendenza deflazionista prima dell'area dell'euro e poi dell'economia mondiale". Glielo hanno chiesto le lobby americane del quale egli ha perseguito a lungo il vantaggio materiale come presidente della Commissione Trilaterale (vedi,"Monti e gli interessi delle lobby americane")? E' un giochetto sfuggito di mano? Che facciano esperimenti sulla pelle dei popoli degli imprenditori che si suicidano di milioni di poveri che perdono il lavoro e la casa costretti a subire e repressi con la violenza se osano lamentarsi questo è impunemente sfacciatamente perfino dichiarato. Già perché continua la stessa intervista rilasciata da Monti alla CNN,"Direi perfino che la crisi greca se la consideriamo fin dalle sue prime manifestazioni nel 2010 ha confermato in maniera vivida che l'Europa diventa adulta e più forte attraverso le crisi perché potremmo essere capaci o incapaci alla fine a risolvere la crisi greca ma in questo processo abbiamo raggiunto un grado maggiore di coordinazione a priori delle politiche fiscali nazionali". A ben vedere una specificazione di quello che aveva già detto in precedenza (vedi,"Piccoli pezzetti di sovranità nazionale che se ne vanno") ,"Nei momenti di crisi più acuta,progressi più sensibili. Non dobbiamo sorprenderci che l'Europa abbia bisogno di gravi crisi per fare passi avanti. I passi avanti dell'Europa sono per definizione cessioni di parti di sovranità nazionali a un livello comunitario. E' chiaro che il potere politico ma anche il senso di appartenenza dei cittadini a una collettività nazionale possono essere pronti a queste cessioni solo quando il costo politico e psicologico del non farle diventa superiore al costo del farle perché c'è una crisi in atto visibile conclamata. [...] Abbiamo bisogno delle crisi per fare passi avanti ma quando una crisi sparisce rimane un sedimento perché si sono messi in opera istituzioni leggi eccetera per cui non è pienamente reversibile". Cioè,chi se ne frega se i greci muoiono e se gli italiani si suicidano noi dobbiamo fare gli Stati Uniti d'Europa e giocheremo con i nostri alambicchi e le nostre provette finché come per magia da una nuvoletta pufff uscirà qualcosa che gli assomiglia. Un circo delle pulci in cui le pulci possono solo saltare o essere schiacciate. A maggio 2014 il loro giochino potrebbe rompersi. Ultima fermata. Poi il capolinea.